The Town Mayor is elected by the Town Councillors annually and holds office from the Full Council meeting held in early May until the following year. 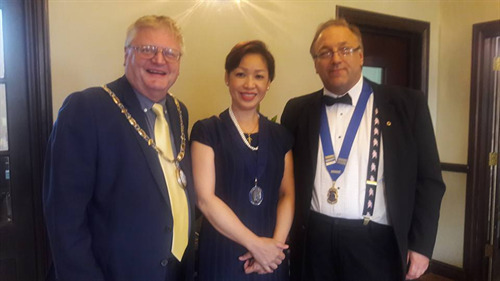 The Town Mayor has the responsibility to promote and uphold the character of Haywards Heath and encourage public involvement in the Council's activities as well as the duties of presiding over meetings of Full Council and of representing the town at Civic and ceremonial functions. The Mayor also has the opportunity to raise funds during the Year of Office for his/her named charity. The Haywards Heath Town Mayor for the Municipal Year 2017/18 is Cllr James Knight, alongside his deputy Cllr Alastair McPherson. 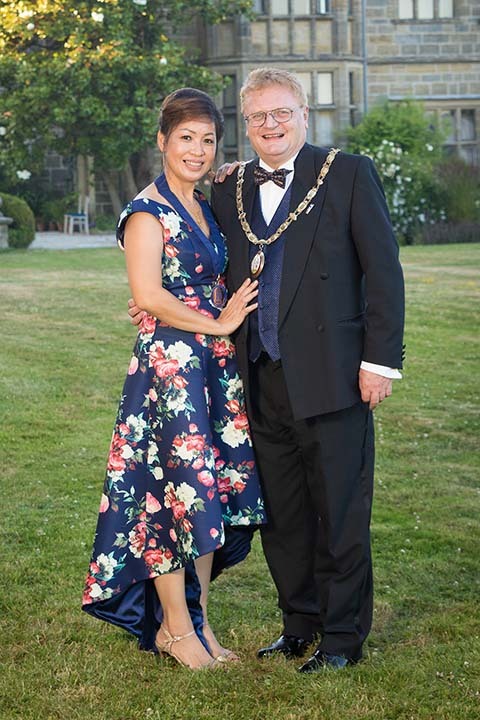 The Mayor, Cllr James Knight, has been a Councillor in Mid Sussex for six years following on from 21 year's experience in IT, working for American Express. His interests include sports, politics and charity work. Cllr Knight has been a Rugby Referee in Sussex for over 20 years, was a partner of a business in Haywards Heath and played an active part in the 'Save the Princess Royal Hospital' campaign. The Mayor is married with two grown up sons and has recently become a very proud grandfather for the first time. Combining his passions for Sport and Charity Work, Cllr Knight has been an active supporter and former Chairman of the Haywards Heath Bike Ride. Through this involvement, he was able to help raise money for the local charities and to buy defibrillators for the town and surrounding areas of Haywards Heath, leaving a Bike Ridge legacy for the whole community. I am delighted to choose Dame Vera Lynn Children's Charity as my chosen charity for my term of office. With the forces sweetheart, Dame Vera Lynn turning 100 this year and the fanastic work the charity does for children and families in the local area diagnosed with cerebal palsy, I intend to work hard to promote and raise funds for this charity. I have witnessed first hand the progress the children make with the early intervention sessions and the tremendous support that the charity also provides to the families and I know that this charity provides a lifeline to many families in the local area. To learn more about the wonderful work that the DVLCC do, learn more about the services and support they offer or to donate to my chosen charity, please click here. The hoardings is the result from Solum's commissioning of over a year's workk by artist Carlo Garde-Martin, who developed the designs with students from Warden Park, Central Sussex College, St Josephs, Harlands, Bolnore Village & Blackthorns schools. Tuesday 10 November - The Mayor Presented the pupils from Warden Park Secondary School, with Certificates for helping at the Carers Event. Traunstein Visit 8 Oct to 11 Oct 2015: With Wilfrid and Eva, Traunstein Town Council. Traunstein Visit 8 Oct to 11 Oct 2015: The Five Mayors, Haywards Heath, Traunstein, Wesseleing, Pinerola and Gap,Signing of the Guest Book. Traunstein Visit 8 Oct to 11 Oct 2015: The Mayor of Hayward Heath and the Mayor of Traunstein, Christian Kegel. Traunstein Visit 8 Oct to 11 Oct 2015: Addressing the guests at the Mayors Dinner. Traunstein Visit 8 Oct to 11 Oct 2015: The Exchange of Library Books between Haywards Heath and Traunstein. The Mayor with Tamzin Wood, who wrote the 'Thinking of You' Poem, and her family.